Claire grew up in Seattle — well known as a great town for music — but her love of jazz and Broadway goes back even farther, to her father’s Manhattan roots and love of piano bars. In fact, Cole Porter used to visit his old fraternity at Williams College, where Claire’s father was a student and member, to try out new songs. Her father’s father had himself composed songs, and a full musical in college based on Puccini’s Madame Butterfly. After becoming a lawyer, her grandfather remained a regular at piano lounges in NYC, even occasionally stopping for a mai tai and a couple of tunes with the family waiting in the car. So Claire now feels her new role as a “lounge lizard” to be a fulfillment of multigenerational desires! 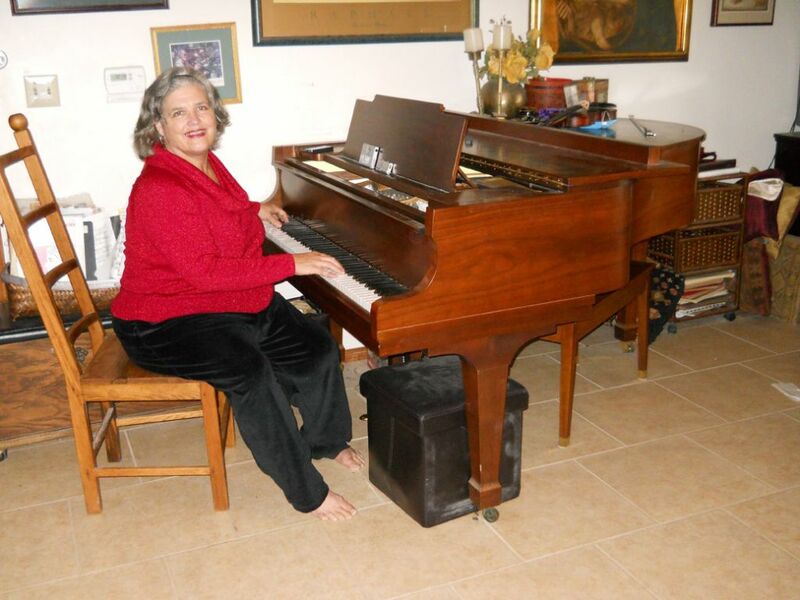 Of course, as a former music history professor, teaching at the University of Arkansas for 25 years, Claire received the more traditional classical training, including studying piano, organ, harpsichord, and voice, and performing in various faculty ensembles and church music jobs. She also directed and appeared in touring early music groups, including the Early Music Consort of Kansas City, the Duo Courante, and the University of Arkansas Collegium Musicum. Continuing in the traditional vein, Claire is currently collaborative pianist with the Taos Community Chorus, which will perform great works of Schubert, Holst, and Handel, as well as some contemporary works, in their December concerts. Since retirement though, Claire has mainly studied and performed jazz. When noted jazz pianist Claudia Burson moved from Austin back to her hometown of Fayetteville, AR, she started teaching jazz piano at the University there, and Claire became an avid student. Once versed in the rich harmonic, rhythmic, and improvisatory language of jazz, Claire reached back to her college training in voice to add singing to her act. She loves the great lyrics of the Golden Age of jazz and Broadway—nobody but Cole Porter could rhyme “Schuberty” with “puberty.” Claire’s vocal range had dropped an octave in the 40 years since college, but that turned out to be a positive, too, since she can now perform all Frank Sinatra’s old tunes without transposition. So, in 2012, Claire started performed as a solo act and with the combo “Five South” in 2012 in Northwest Arkansas, playing receptions and parties before moving to Taos in early 2014. 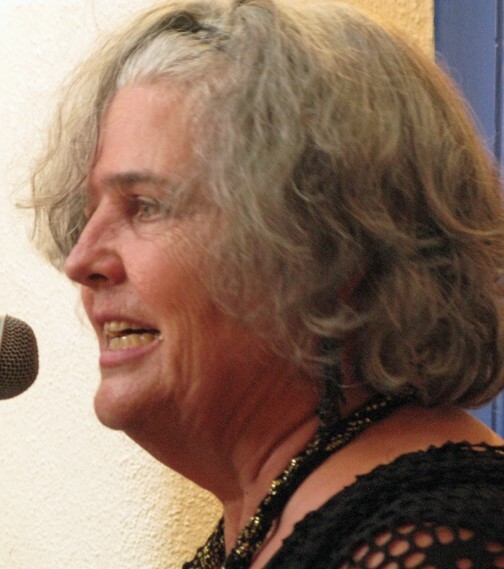 After all those years in the classroom, Claire’s a genuine ham, and she loves singing for the tourists and the residents here in Taos, many of whom are delighted to find an alternative to the country, rock, and folk that is more often presented, and who love the chance to make requests and sing along to their favorites. She is also an award-winning fiber artist, with work in local and regional galleries, including the Espanola Valley Fiber Arts Center, the High Road Marketplace in Truchas, Art for the Heart in Penasco, and Moxie and the Taos Community Co-op here in Taos. 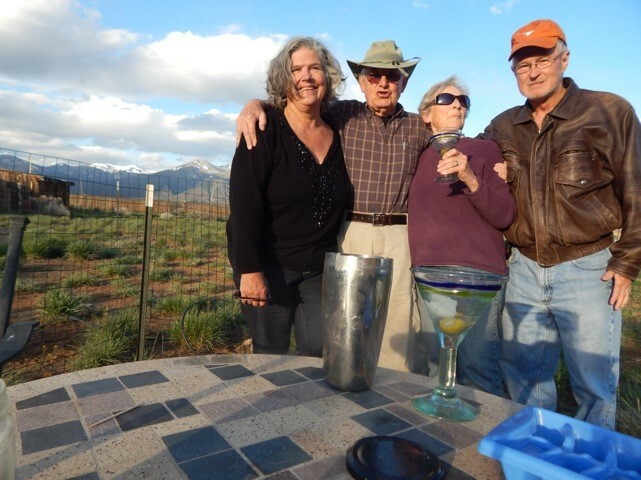 She recently welcomed visitors to her newly-remodeled fiber arts studio on the mesa in El Prado, as part of the 7th annual Taos Artist Organization tour. Above all, Claire and I love the beauty of Taos. Living on the mesa offers breathtaking views, and a welcome return to mountains for Seattle-bred Claire. In many ways, it’s a dream come true! 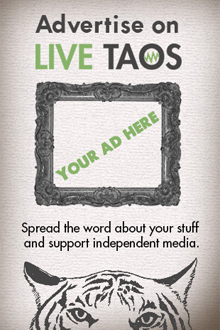 Lewis Chamness is a guest author for Live Taos. Do you have something interesting to say? Submit your article to [email protected] and we'll take it from there.